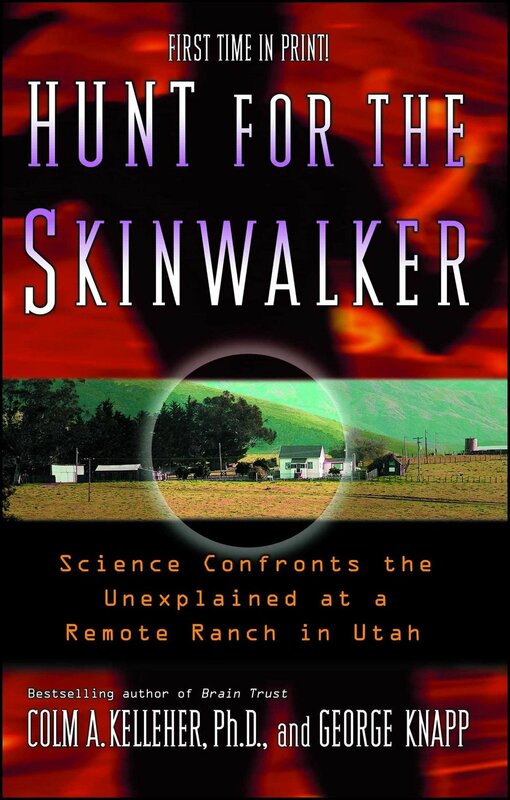 In anticipation of Jeremy Kenyon Lockyer Corbell's "Hunt For The Skinwalker" documentary that comes out in September, let's take a look back at the groundbreaking book it is based on "Hunt for the Skinwalker: Science Confronts the Unexplained at a Remote Ranch in Utah." The book does more than just detail the plethora of paranormal activity that went down at Skinwalker Ranch, and the scientific team that investigated UFOs, light orbs, giant (bulletproof) animals, shadow beings, cattle mutilations, portals, Bigfoot and other anomalies all hosted at this remote part of Utah. Journalist George Knapp and NIDS investigator Colm Kelleher PhD who witnessed the experiences do a superb job of providing background of the area through history, Native American mythology and connecting it to other high-traffic paranormal hot spots around the world. In addition to connecting to other similar cases and folklore, the book runs down every possible hypothesis from outer worlds, dimensions, hoaxes, military experiments, extraterrestrial intervention, and more. Blending a narrative style of the specific incidents the family endured at the ranch, and the scientific study really gives the book a dynamic that works in informing, educating and pushing the imagination of the reader. The goal of this must-have book is to present a "new vision of reality."